How Do The Language Phrase Calendars Work? What is the wall chart language calendar? The calendar works on the same principle as all those Post-it notes that many people use as reminders and organizing tools. Language teachers have long encouraged students to put up stickers or Post-its around the house with the names of objects in the in the foreign language. As you look at the objects, you see the words associated with them. We've taken this idea to new heights in the form of a a wall chart disguised as a calendar to make learning easier. Imagine a large wall calendar with 12 monthly pages. On the upper part of every month is a presentation of an essential theme of grammar or vocabulary for French or Spanish. On the lower part, there is a grid for the days of the month. Each day, an example, in the form of phrases or mini-dialogs, illustrates the theme of the month. When hung on a wall, the combination of the top theme page and the bottom page of daily examples forms a powerful visual memory aid. Each calendar contains over 600 examples of authentic modern spoken and written French or Spanish All the daily examples are translated at the back of the calendar into two languages out of French, Spanish or English. There are no dates on this perpetual calendar, but they can be added, if so desired. Hence, total flexibility. Start on any page and go in any order. Remain for as long as you wish on a given page. And, since it is petpetual, this "green" calendar can be reused indefinitely. But there's more. On this web site, you'll find free recordings of all the daily examples in different accents. Easy. Nothing to download. No software to install. Nothing to turn on. Just hang it up on a wall and look at it daily. Then choose a daily sentence to work on and repeat it aloud 12 - 25 times until you can say it quite fluently. You can memorize these sentences. Or modify them by changing some words. Even better yet, at a more advanced level you can use these examples as templates to make up new ones. Go to the web site and listen to the recordings to work on your comprehension and pronunciation. Customers tell us that they start hearing or seeing those very phrases or something similar in the language. Or they see in written form something that they had heard but never knew how to spell. This is only normal because all the examples are samples of very common patterns. Next, you can take those ready-made phrases or dialogs and use them "as is" in your conversations. In a sense you have a set of building blocks that you can use to start speaking in flowing manner. Finally, you take those building blocks and make up your own variants based on the structures of the examples that you studied. Since each calendar contains 600 to 700 examples, there is a lot of material to work with. The key benefit here is that you are learning to interact with complete sentences in the language. You are acquiring tools to speaking fluently and confidently, knowing that what you say is correct and appropriate for the circumstances. Students who are working with tutors and private instructors find the calendar very useful because there is such a wealth of material that can be used for conversation practice. When used regularly, the language calendar of phrases is a very effective tool that will take your language fluency to a higher level. Anyone really interested in speaking French or Spanish fluently will benefit from the calendar. However, the language-learning calendar is best suited for learners who have at least a basic knowledge of French or Spanish. This includes people who have studied the language a while ago and now feel rusty. Don't worry, those skills will come right back. People who are currently enrolled in classes will also benefit from the calendar. It complements all teaching methods. Indeed, many instructors use the calendar in the classroom as a teaching tool and a source of examples. Independent or self-study learners will particularly appreciate the wealth of useful examples and the accompanying recordings. The calendar is also very effective for people who feel that their French or Spanish skills are in a rut or that they have stopped progressing. 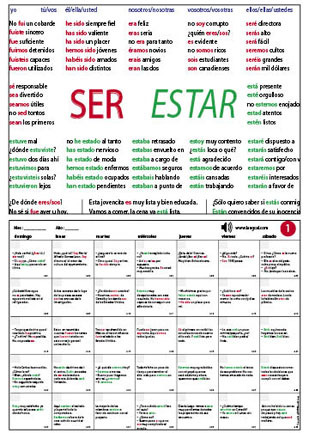 The calendar will jump start those language skills and take them to the next level. © 2012 www.langcal.com All rights reserved. Tous droits réservés Todos los derechos reservados.